Most companies understand the enormous value related to highly loyal customers. That is why businesses of every size and form have implemented loyalty programs to maintain their best customers coming back again and again. Unfortunately, this conventional loyalty version has grown tired and provides very little differentiation in the industry today. As a result, it is time to rethink customer devotion. Unfortunately for many businesses, any advantage that was originally gained through faithful programs has quickly eroded. While airline, hotel, and car rental agencies were the pioneers of mainstream loyalty plans, other companies were quick to leap on the loyalty program bandwagon. The result is a company environment where every restaurant, gas station and pet shop has some type of devotion card or program. As a result, having a loyalty program is not a competitive differentiator. It has become a mainstay of a company environment where loyalty applications have become a commodity and a potential detractor to the general customer experience. They get in the means of business efficiency - often requiring another step in the customer experience process. They've become nothing more than another solution to offer a price promotion. Loyalty programs can also create disdain for customers that can't receive the benefits or special pricing provided exclusively to program members. Some loyalty programs miss the point entirely and may actually drive customers away. Hilton Hotels, for example, includes a long-standing loyalty program called Hilton Honors that accumulates points based on the number of overnight stays at their network of resorts. To get a career traveller, these loyalty points can continue to accumulate within a 10 or 20-year time span. On the outside, Hilton's loyalty program appears straightforward and simple; The more a client remains - the more rewards they could get. In certain circumstances, but the fine print can really bite back. If changes to a customer's traveling habits keep them out of a Hilton home for 12 consecutive months, the client will lost ALL accumulated points and privileges. This coverage, in consequence, erases 20 years of devotion as well as any associated benefits or rewards. The client might have been loyal and might even have been an advocate for Hilton. Penalizing a loyal customer for absence of action for 12 months will definitely harm any fantastic will that may have been accumulated over the prior 10 to 20 year time period. 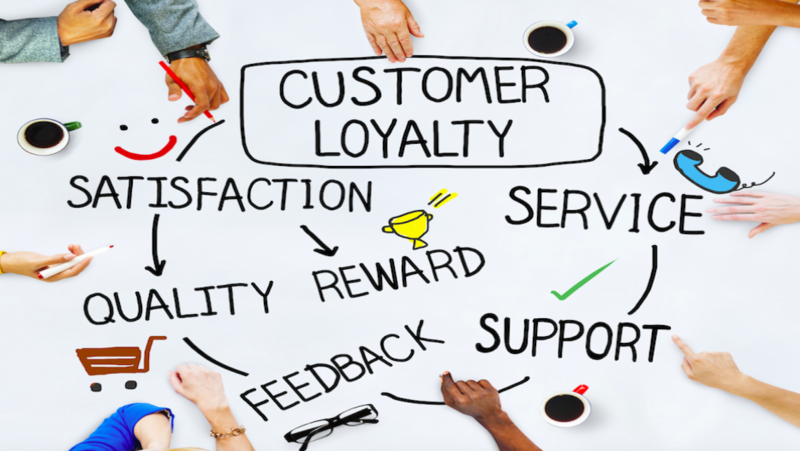 If businesses want to reap the benefits of true customer loyalty - it is time to reevaluate what customer loyalty actually means. Customer loyalty is not obtained by simply holding a card, accumulating points, or redeeming rewards. What's more, loyalty can't be measured simply by customer longevity, frequency, or purchase volume. Customer loyalty is not a one-way street; it cannot be determined only based on what the customer has done for the corporation. Instead, customer loyalty ought to be turned upside down. Perhaps more firms would get it right if they quantified loyalty in terms of the degree to which the COMPANY is faithful to the client as opposed to vice versa. Companies should aim to remember repeat customers, address them as people, call them by their name, and then treat them unique. Consider the simple lesson of customer loyalty which was demonstrated each week on the 1980's sitcom "Cheers", the pub where everybody knows your name: At the beginning of each show, the pub's best customer, 'Norm', would enter the pub and move to 'his' barstool. There wasn't any loyalty application, no card to scan, and no 'platinum' amount required to gain entrance. Everyone indeed knew his name, he had his very own seat in the bar, and the pub owner knew exactly what he wanted to drink. 'Norm' was indeed faithful, but the institution was extremely faithful to him too.